It’s a cool and rainy day on the first day of spring, at the raised beds in the Healing Garden at Alamance Regional Medical Center. 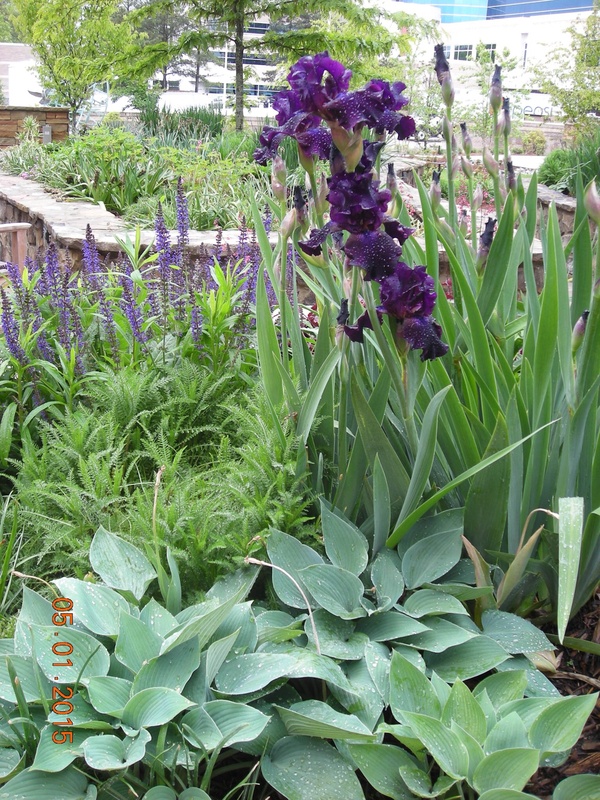 Deep purple bearded iris, salvia, emerging coreopsis and blue hosta leaves glistening with rain drops make a soothing combination of color and texture. Soon the yellow flowers of the coreopsis will light up the purple salvia in readiness for summer. Raised beds designed by Jacqui Mehring, Alba Landscapes.